Did You Turn the Porch Light On? Life catches me rushing out the door many days. As I grab my car keys and water bottle, I mentally run through a checklist. I always ask myself “did you turn the porch light on”? There is comfort in returning home later in the day as dusk is settling and seeing the porch light beckoning me home. I imagine you have a similar routine you go through as you get ready for your day. If you are anything like me, preparing well allows you to feel focused and ready for whatever your day might hold. But I know that a simple item such as “did you turn the porch light on”? means more in the landscape of your day. As I turn into my driveway at the end of the day and see the porch light winking at me with reassurance, I feel safe, warm and welcomed. In my journey of faith, I recognize this light as so much more. God instills His light within us when we choose Him as our Savior and Lord. God’s light leads us home by providing a beacon to illuminate the path that brings us ever closer to Him. He calls us to wake up and shine our light. These words from Ephesians provide a marker that leads us to understanding the importance of light. 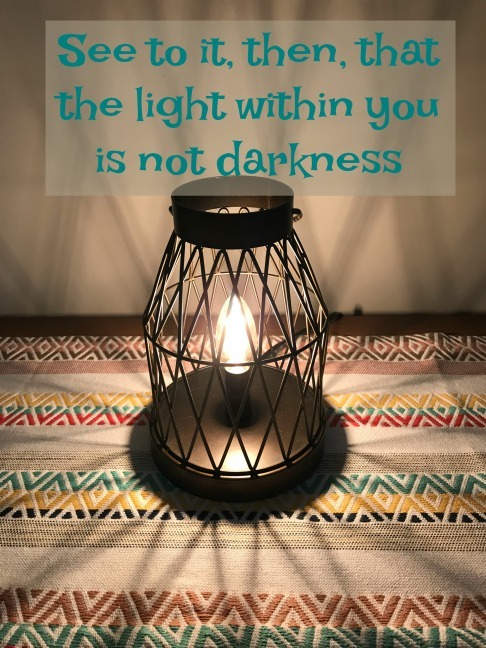 God’s Word teaches truth and after reading the words from Ephesians, I began to ask myself “Did you turn the porch light on to shine brightly for God”? You might stop me here and say ” big questions deserve big answers”. There is some truth in that, but God just desires an answer – big or little. As much as I love coming home to a well-lit front porch that exudes warmth and safety, God desires the light within us to burn brightly. He calls us to light a lamp and put it on a stand so others may see the light. Luke 11:33. We are also taught in Luke 33 that the eyes are the lamp of our body. When we set our eyes looking toward honoring God with our actions, they are healthy. On the other side, if we look toward things that are displeasing our eyes are unhealthy and our body is full of darkness. When the light of Jesus burns inside us, we shine from the inside out. No light is needed to dispel the darkness because Jesus has already taken care of that. 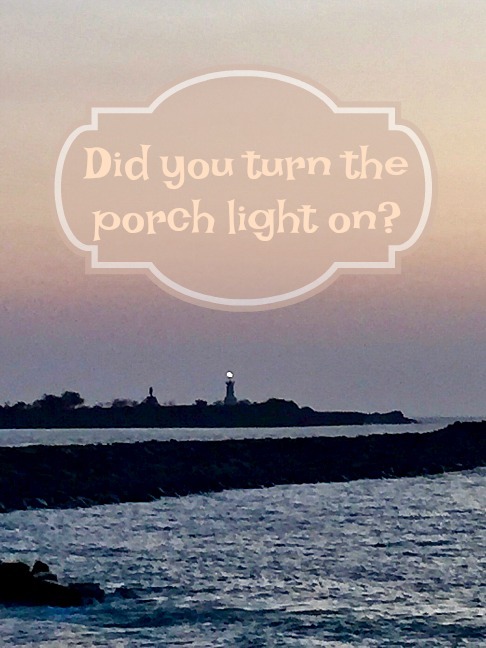 Did you turn the porch light of your soul on today? May the light of Jesus be yours and glow brightly so others feel welcomed and secure.